The rapid growth of IoT market dramatically increased the popularity of MQTT protocol. MQTT is supported by the most popular IoT platforms and is used for data collection, push notifications, real-time messaging and other. We would like to share our experience with running performance tests against MQTT servers in this article. We are going to concentrate on the tools that we used to generate load on the server. The results of the performance tests for our platform will be published as a separate post. High performance and low overhead. Easy setup of load scenarios. Unfortunately Gatling.io framework doesn’t support MQTT protocol out-of-the-box. At the same time Gatling is an open-source framework and we have found an unofficial MQTT plugin. Gatling-MQTT plugin was developed by Muneyuki Noguchi and at the moment it is hosted on GitHub under Apache 2.0 License. 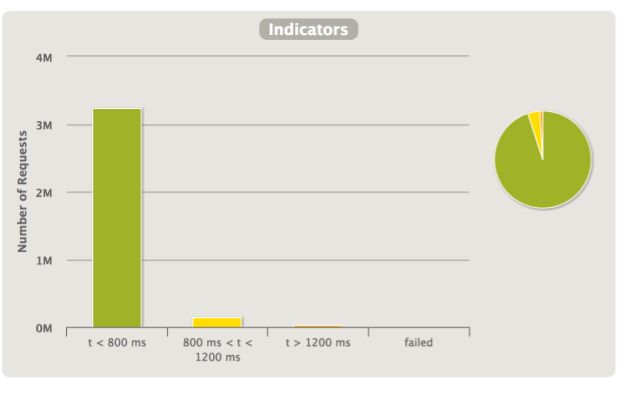 We have started implementation of Thingsboard performance testing project using Gatling and Gatling-MQTT plugin. Some time later we have realized that the plugin doesn’t support scenarios that we would like to verify and the behaviour of default scenario is not something that we have expected. So once we have connected a device to the IOT platform that acts as an MQTT broker, we will reuse session and publish MQTT messages using the same session. Sure, the session could be recreated at some point, but not every time we would like to publish a message to the server. In order to support this scenario, we have decided not to implement something new from the scratch, but rather to use Gatling-MQTT plugin as a base and considering fact that this is open-source we are free to modify the software as we wish to meet our needs. We have done the fork of Gatling-MQTT plugin, spent some time on investigation how the plugin was constructed, modified it and added Connect, Publish and Disconnect actions as separate steps. Now we were able to support the expected scenario. The extended version of Gatling-MQTT plugin is located here Extended Gatling-MQTT. Finally, we were able to implement the scenario that suits our needs. The Gatling simulation below will create separate MQTT session for 10 simulated devices and will send 100 publish messages for each session. In general, we have described our approach how we have generated high load on our IoT platform and verified that it provides good results. We will share the results of Thingsboard IoT platform performance tests in the next post. Also, we’ll describe code changes, improvements and instances tuning that we have done to achieve processing of more than 1 million MQTT messages per minute. These are basically the first steps for us in the direction of performance testing of the platform, and any feedback regarding this approach is more than welcome. We hope that the experience provided will help you to verify your solutions against load specifications that you expect to see in the production. Stay tuned by subscribing to our twitter, blog or by starring our project on Github. We are pleased to announce today the availability of Thingsboard IoT Gateway - an open-source solution that allows you to integrate devices connected to existing legacy and third-party systems with Thingsboard. OPC-UA extension to collect data from devices that are connected to OPC-UA servers. MQTT extension to collect data that is published to external MQTT brokers. Persistence of collected data to guarantee data delivery in case of network and hardware failures. Automatic reconnect to Thingsboard cluster. Simple yet powerful mapping of incoming data and messages to unified format. Thingsboard IoT Gateway 1.0 is available for download via the open source repository hosted on GitHub. To get started with Thingsboard IoT Gateway try our getting started guide. We are pleased to announce today the availability of Thingsboard 1.1.0, minor release that includes functionality to import-export widgets and dashboards, bug fixes and more. Thingsboard 1.1.0 is available for download via the open source repository hosted on GitHub. To get started with Thingsboard try our Hello World guide or watch Getting Started Video. In order to upgrade previous Thingsboard installation follow the upgrade instructions.